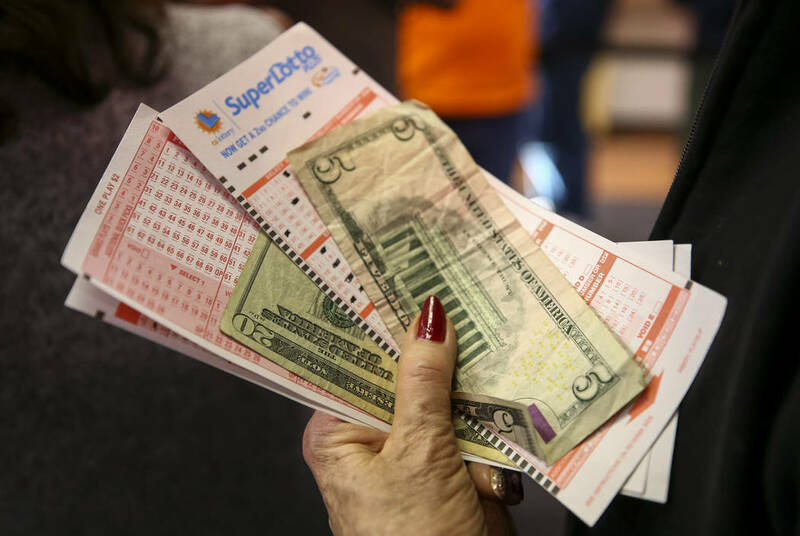 No one matched all five numbers and the mega number in Wednesday’s drawing of the California Super Lotto. The next jackpot will be at least $13 million. Richard Brian/Las Vegas Review-Journal A woman waits to buy lottery tickets at The Lotto Store at Primm just inside the California line next to the Primm Valley Casino Resorts in 2018. Drawings are held on Wednesday and Saturday. Odds of matching all five winning numbers and the mega number are one in 41,416,353. Overall odds of winning are 1 in 23.